South Florida not-for-profit home health care agency, Jewish Family Home Care, acquires Medicare home health nursing provider, Nursing Plus of Broward, LLC. “Offering continuity of care with the addition of skilled services is a tremendous benefit. Our goal is to become best-in-class with outstanding medical professionals and patient outcomes,” said Teresa Duvall, CEO of Jewish Family Home Care. Jewish Family Home Care, a not-for-profit home health care agency based in Broward County, announces acquisition of Nursing Plus of Broward, LLC to offer skilled nursing services to seniors of all faiths in South Florida. Jewish Family Home Care’s overall mission is to enable seniors to live safely, healthily, and with dignity in the familiar comfort of their homes, postponing or even eliminating the need to move to a residential care or nursing facility. By acquiring this Medicare home health nursing and therapy provider, the goal is to improve seniors’ quality of life by helping to minimize the effects of illness and disability, while preventing unwanted hospital visits. In addition to the compassionate caregivers who provide a wide range of non-medical assistance to seniors living at home, this acquisition will add skilled nursing and therapy services to patients at home. Registered Nurses (RN) and Licensed Practical Nurses (LPN) can accommodate the simple or complex care needs of seniors as well as provide physical, occupational, and speech therapy. Jewish Family Home Care delivers home health care plans tailor-made to more than 400 patients with special consideration to their physical and emotional needs as well as their family’s budget. Visit Jewish Family Home Care at https://www.jfcares.org/ or call 833-532-2737. 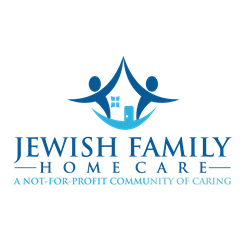 Jewish Family Home Care is a 501(c)3 not-for-profit agency providing quality home care for Broward County seniors from all reaches of life, enabling them to continue living at home and have the best level of wellness, dignity, and independence throughout life. Such services are often a welcomed alternative to moving to a nursing home or assisted living facility. Jewish Family Home Care is an affiliated agency of Goodman Jewish Family Services of Broward.